René Schmidt is a retired teacher and writer living in Trenton. He is a graduate of York University’s Creative Writing program, a presenter with the Author’s Booking Service and a member of the Writer’s Union of Canada. René often serves as reader/judge for the yearly post-card and short fiction Writer’s Union contests. René has been writing for students since 1982. 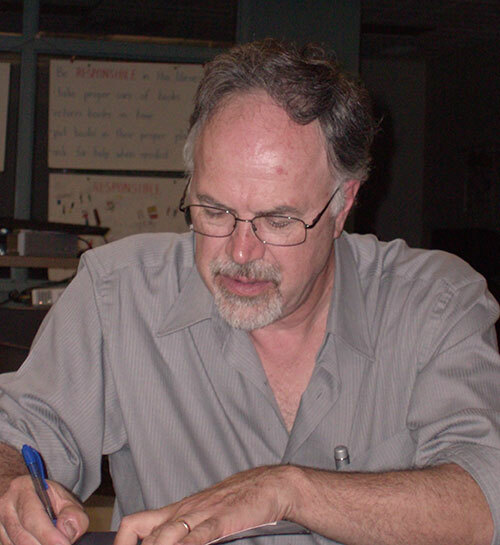 His first published book, Canadian Disasters (Scholastic 1985), was reprinted several times, earned good reviews and a Reader’s Choice award and eventually sold 57,000 copies. More updated versions appeared; Disaster! 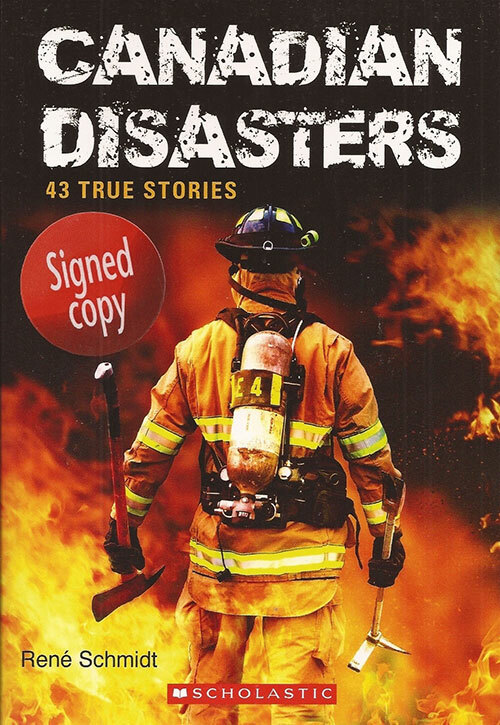 in 1999, Canadian Disasters, 2006 and Canadian Disasters 43 True Stories in 2013. All have good reviews with educators and librarians. René’s first fiction novel, Leaving Fletchville, was nominated for the Red Maple Book Award in 2010 and his grade 7 & 8 readers all over Ontario voted his book second place overall at the Ontario Library Association Festival of Trees in 2010. Leaving Fletchville was also a nomination for the Violet Downey award of the I.O.D.E. for 2010. René does visits to schools and libraries to speak about Canadian Disasters or writing. Rene writes maddeningly s l o w l y because he so often re-writes everything many times. He is continuing to work on a variety of manuscripts for adults and young adult readers. He has also written feature magazine articles for Canadian Living Magazine.